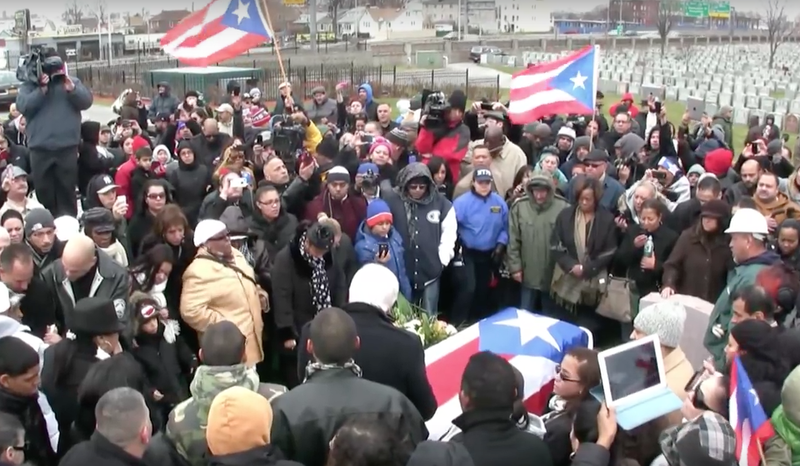 A typical day at St. Raymond’s Cemetery in the Bronx is bustling with activity – with nearly 4,000 burials each year, St. Raymond’s is one of the busiest cemeteries in the nation. 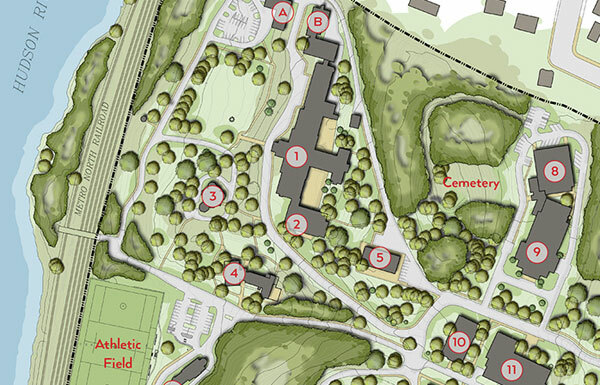 Established by the Church of St. Raymond, this Catholic burial ground has expanded from its original 36-acre site in the Throgg’s Neck neighborhood to an 180-acre complex that, when full, will accommodate over half a million people. 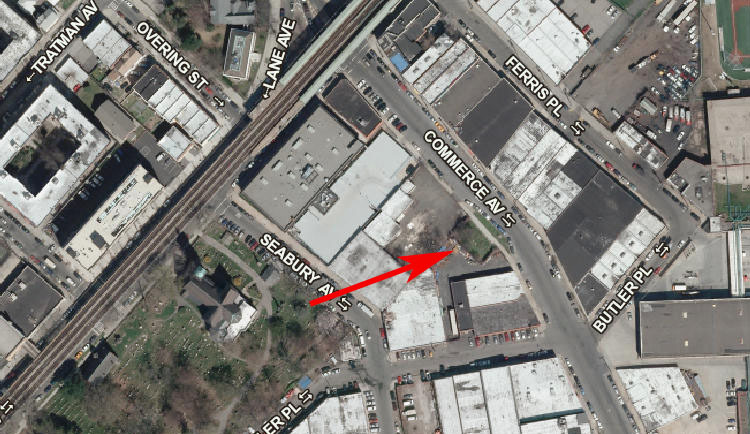 The cemetery is composed of two sections, both situated just east of the Hutchinson River Parkway: the “Old Cemetery,” created about 1875 on Tremont Avenue, and the “New Cemetery,” developed at Lafayette Avenue in the 1950s. 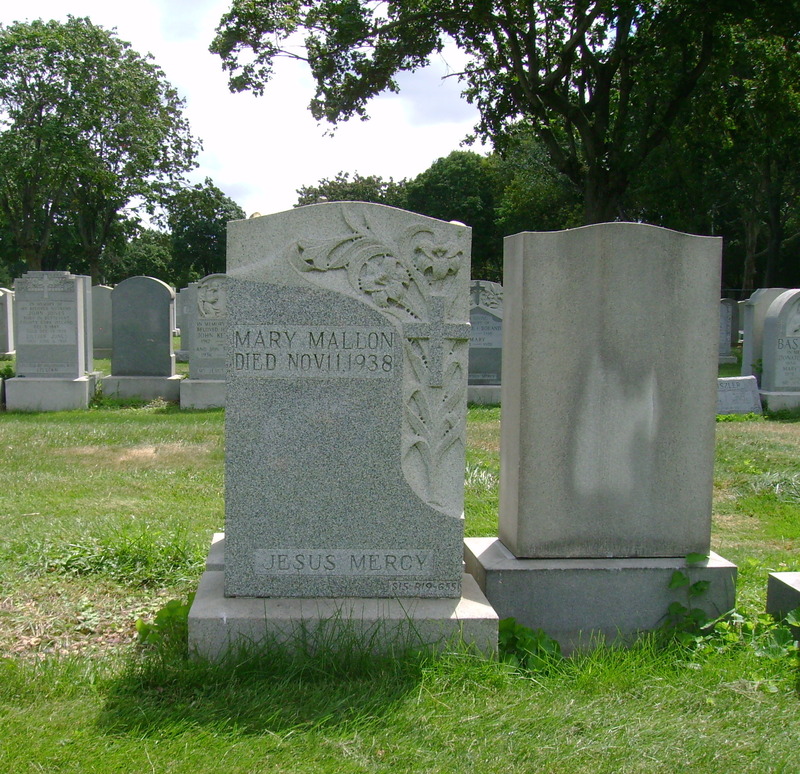 Notable individuals buried at St. Raymond’s include gangster Vincent “Mad Dog” Coll, legendary jazz singer Billie Holiday, famed boxer Hector “Macho” Camacho, and the infamous Irish cook known as Typhoid Mary (Mary Mallon), who allegedly caused multiple outbreaks of typhoid fever in turn-of-the- century New York. 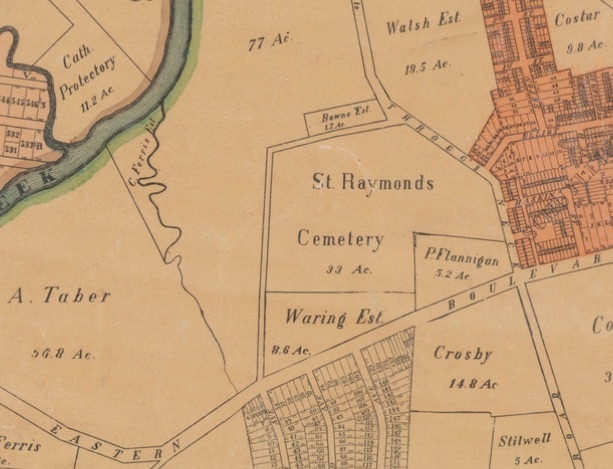 The history of St. Raymond’s Cemetery also includes its role in one of the most notorious crimes of the 20th century. 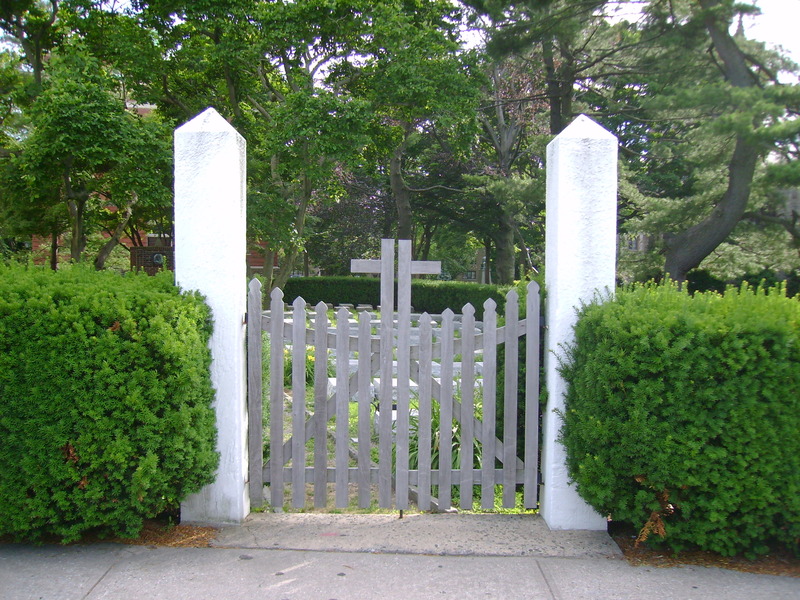 A site inside the cemetery’s Whittemore Avenue entrance was used in 1932 as the drop point for the $50,000 ransom money paid to the kidnappers of Charles Lindbergh’s 20-month old son; the child’s body was later discovered near Lindbergh’s New Jersey estate. Bruno Hauptmann was apprehended for the crime in 1934 when he used bills from the ransom money to purchase gasoline at a service station in New York City. Hauptmann’s murder trial caused a media frenzy that went unmatched until the O.J. Simpson trial in 1995. View more photos of St. Raymond’s Cemetery. 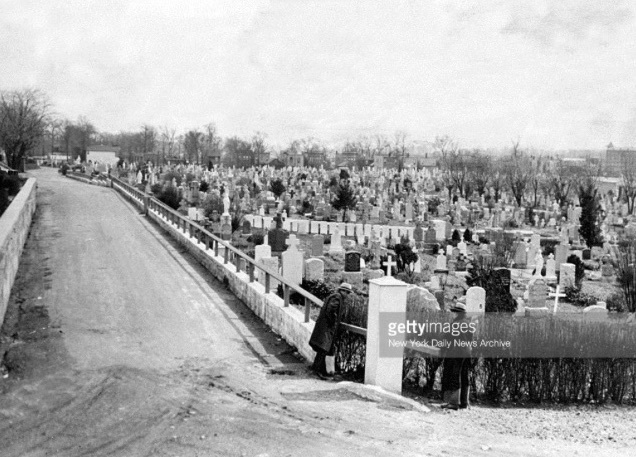 Sources: St. Raymond’s Cemetery (Church of St. Raymond); Sheil’s 1891 Map of the town of Westchester, Westchester County, N.Y.; The Story of the Bronx (Jenkins 1912), 324; Only Dozen Mourn as Coll is Taken for His Last Ride, Brooklyn Daily Eagle Feb 11, 1932 p3; WPA Guide to NYC (1939), 546-547; The Lindbergh Kidnapping (FBI); The Lindbergh Kidnapping (British Pathe newsreel); Despedida a Hector Macho Camacho Video por Jose Rivera 12:1:12. Hidden behind a hedge on the campus at Fordham University in the Bronx is a small cemetery that stands as a symbol of the Jesuit history and tradition on which the university was founded. It is the final resting place for a group of men with a deep spirituality and an outstanding record of devotion and scholarship, many of whom left behind family and country to follow God’s call. 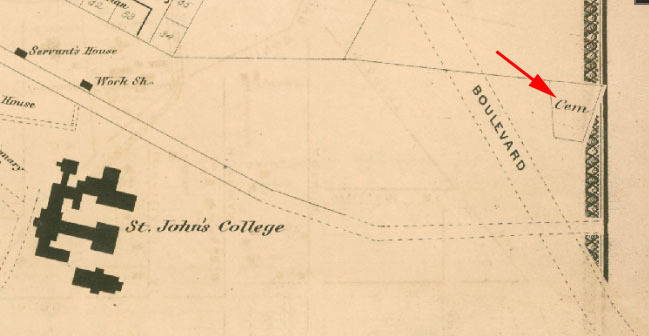 Shortly after the Catholic archdiocese of New York established Fordham in 1841 (originally named St. John’s College) as a seminary and a college for the general public, the scholastic functions were given to the Jesuit order, a religious group with a great deal of experience in higher education. Five Jesuit priests from St. Mary’s College in Kentucky were recruited in 1846 to staff the institution. Other Jesuits soon joined them, and St. John’s continued as a small liberal arts college for men until it expanded and was renamed Fordham University in 1907. 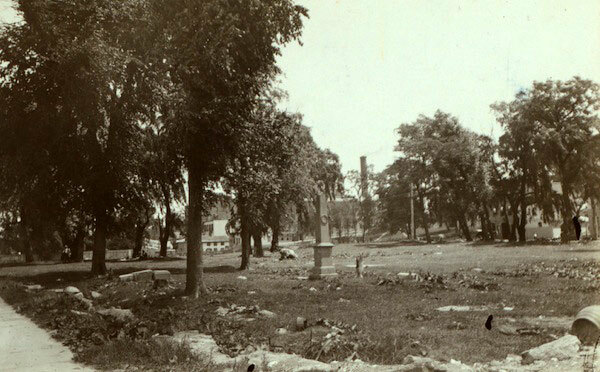 As was typical of many religious institutions of the time, the Jesuits set aside a plot of land at Fordham for burial purposes. 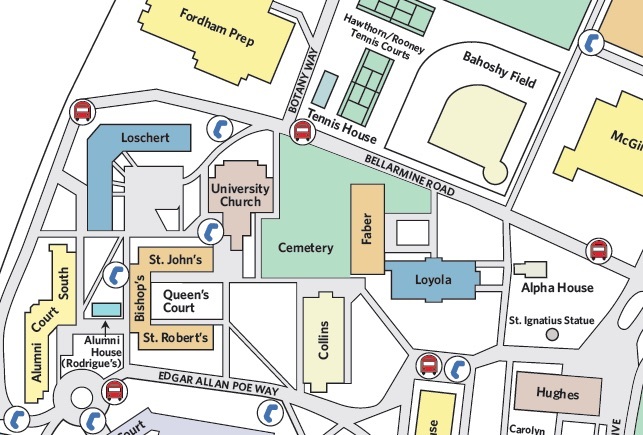 The cemetery was a burial ground for the deceased from Fordham as well as from other Jesuit institutions in the region. 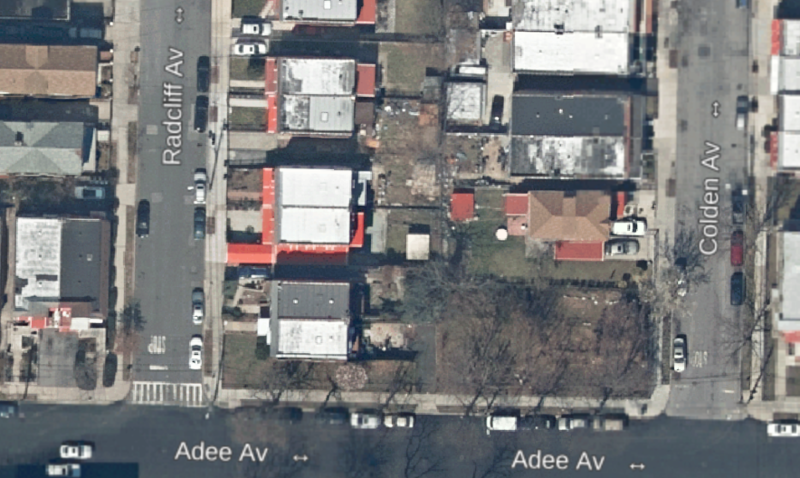 The site of this “original” cemetery at Fordham was a hillside near Southern Boulevard, on property that is now part of the New York Botanical Garden. 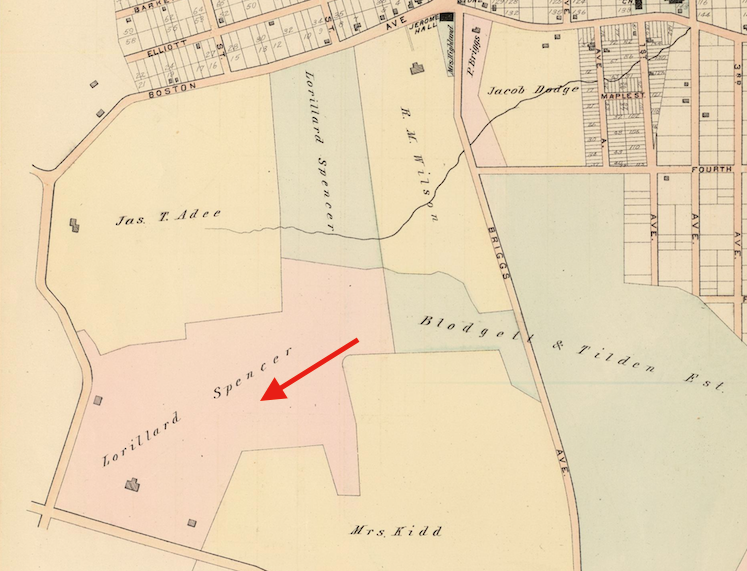 The first burial took place there in July 1847 when Brother Joseph Creeden, a 26-year-old Irish-born novice, died two months after entering the Jesuit novitiate. Over the next four decades, another 60 Jesuits were interred near him, as well as nine students, three seminarians, and three college workmen. 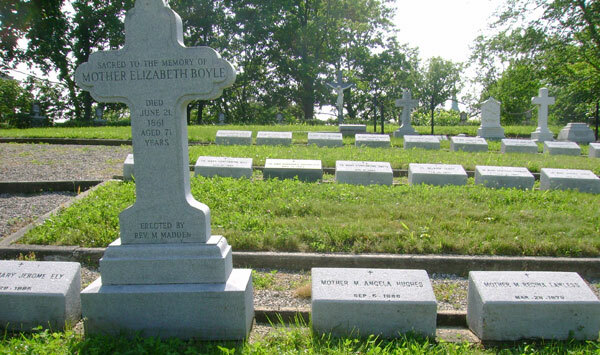 One of the Jesuits buried in the old cemetery was Father Eugene Maguire, who died at St. Mary’s College, Kentucky, in 1833 and whose remains were transferred to Fordham in 1850. 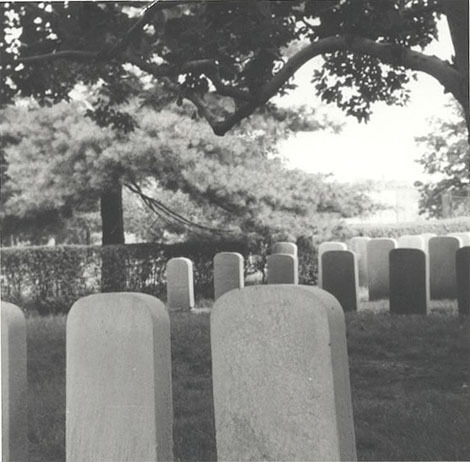 The loss of the property on which the old cemetery was located created a crisis among the Jesuits regarding their past burials and future ones. 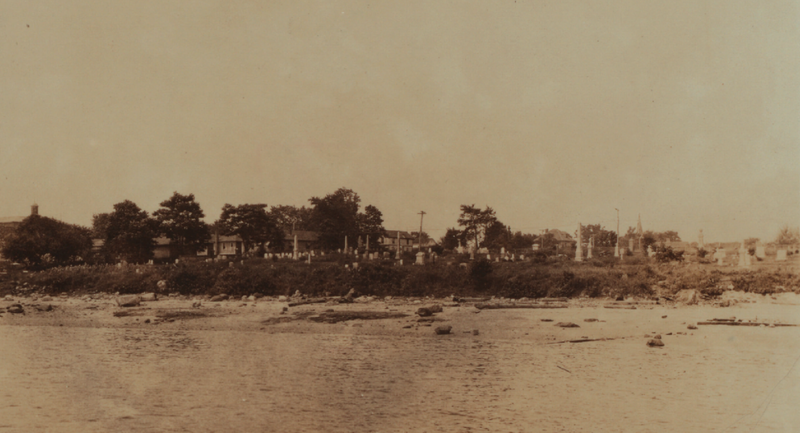 Although they considered transferring their burials to St. Raymond’s Cemetery, members of the Jesuit community requested that the graves be retained on college property to respect the dead by having them “apud nos” (among us). 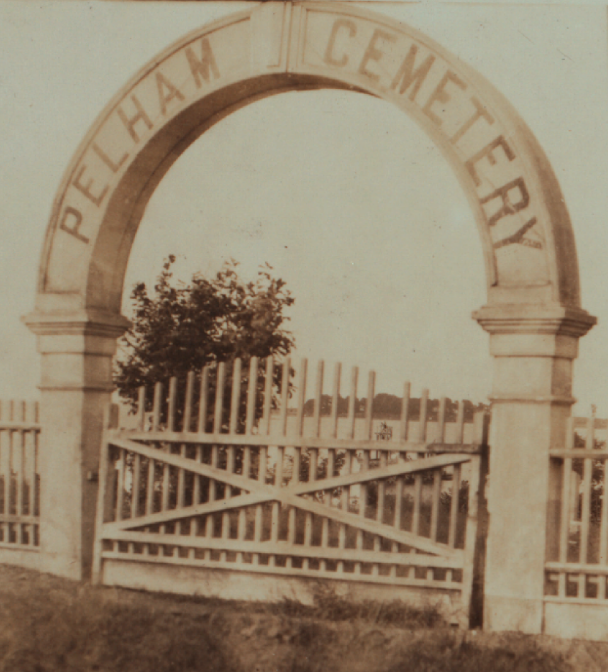 A suitable site in the campus vineyard was found and the graves from the original cemetery were relocated there in January 1890. 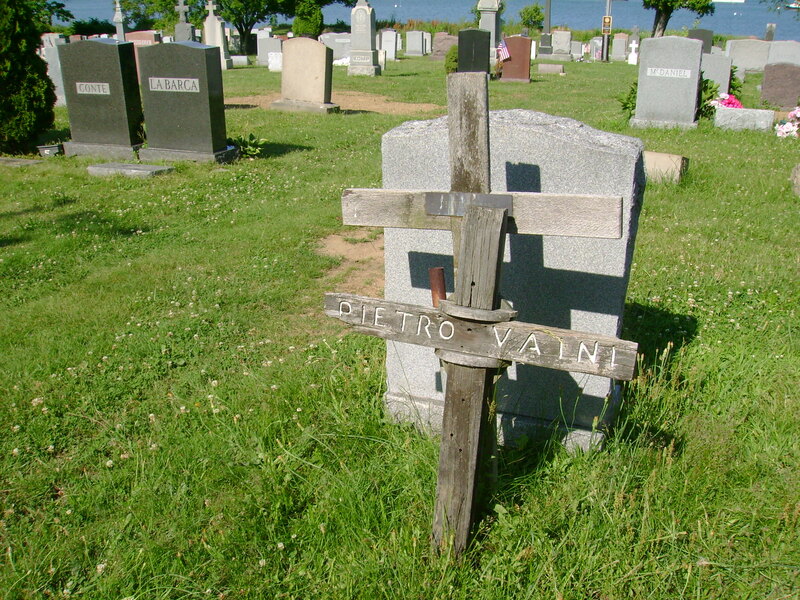 The new gravesites were marked with marble tombstones, replacing the wooden crosses that had been used as markers in the old cemetery. 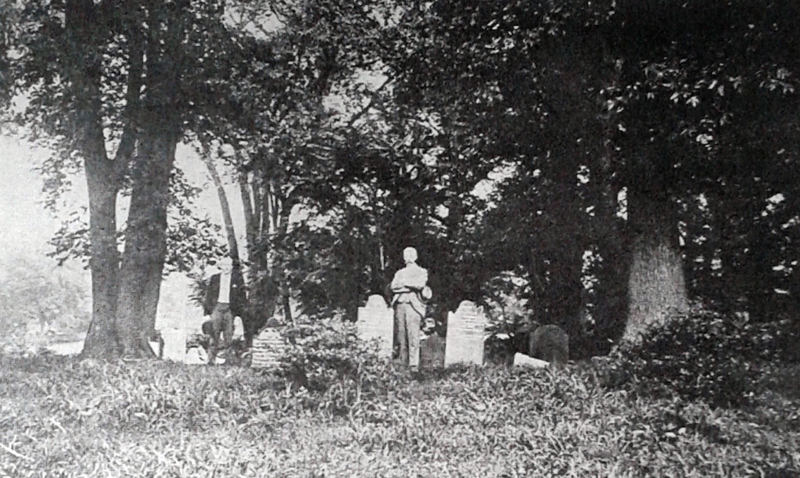 Between 1890 and 1909, 64 more Jesuits were buried in the new cemetery. 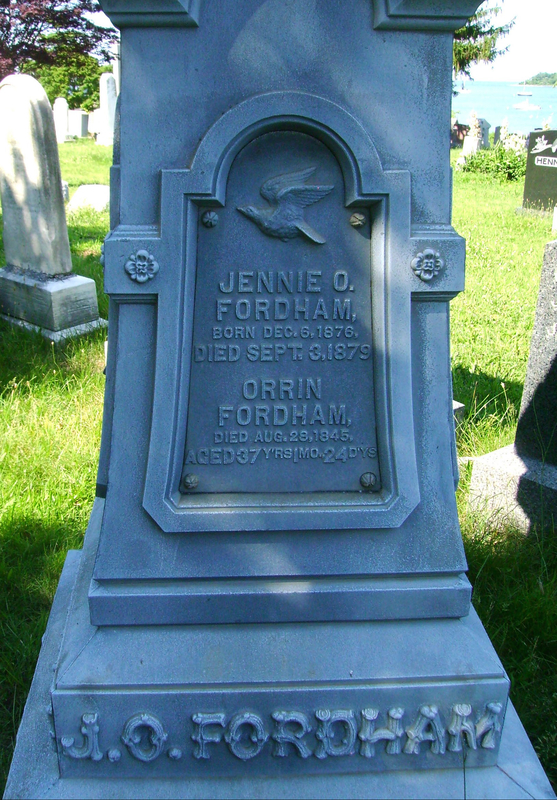 Father William O’Brien Pardow, a prominent speaker and retreat master whose funeral was attended by thousands of mourners, was the last person buried in the cemetery at Fordham, in January 1909. 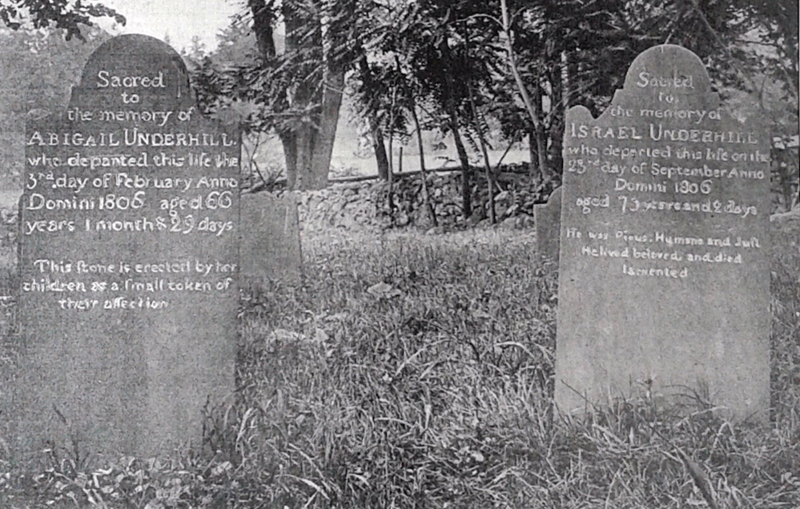 Thereafter, the graveyard was largely forgotten although not completely neglected – in the 1950s, a stone and brick wall surmounted by a symbol of blessing was erected on the south side of the cemetery and a number of burials were relocated within the site to facilitate the building of Faber Hall. 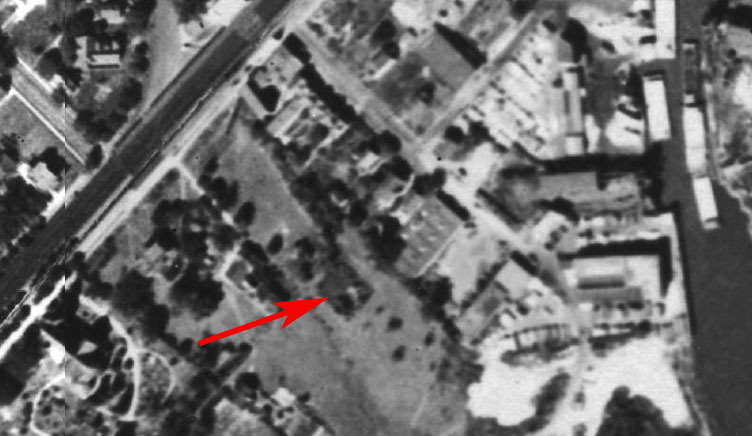 By 1998, the cemetery was a campus eyesore and curiosity; many of the tombstones were disintegrating or vandalized and it was widely believed that the site was a “phantom cemetery” containing monuments but no human remains. 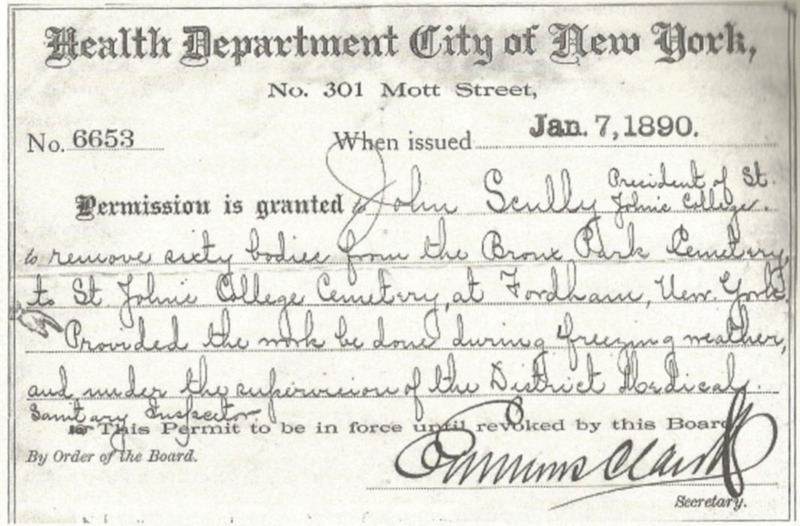 Archival records proved otherwise, and a committee was appointed to preserve the cemetery’s sacred character. 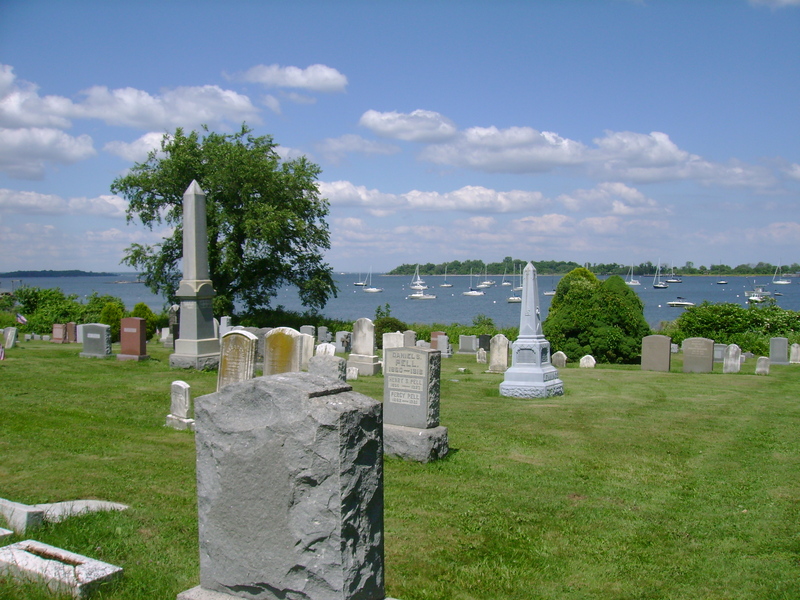 The site was renovated and beautified, and low granite markers replaced the deteriorated tombstones. Now well kept and orderly, the graveyard recognizes a community created by a common history and shared vision. View more photos of the Fordham Cemetery. 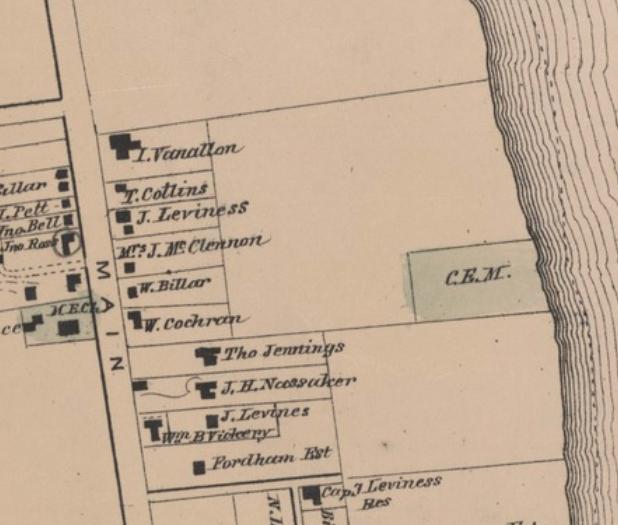 Sources: Beers’ 1868 Atlas of New York and Vicinity, Pl. 11; “The Old Cemetery in Fordham University,” (Falco 1971), Bronx County Historical Society Journal 8(1):20-25; How the Jesuits Settled in New York: A Documentary Account (Hennessy 2003); “Who’s Buried at Fordham?,” The Ram, Nov 4, 1976 p. 2; “Thousands Mourn for Father Pardow,” New York Times Jan 27, 1909; Fordham University: History & Mission; Fordham University: Rose Hill Campus Map; Fordham University: Cemetery Chronology. 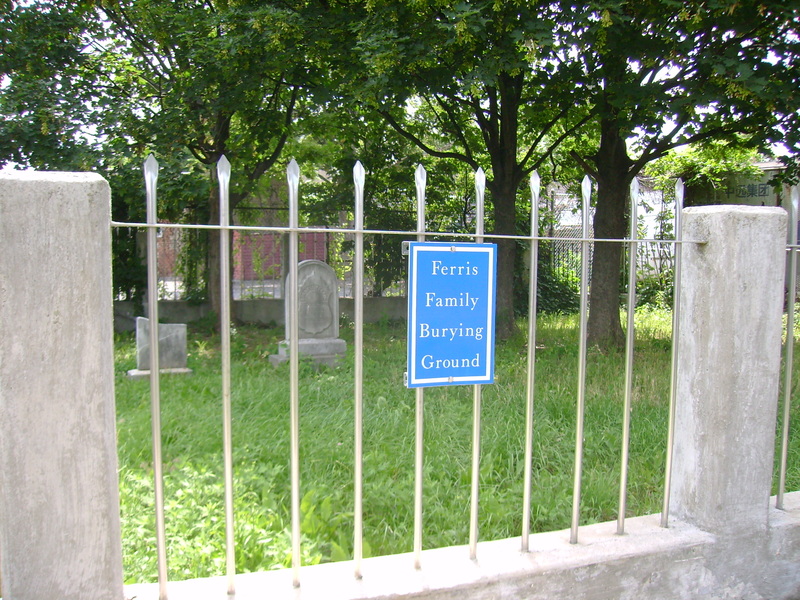 Bensonia Cemetery was established in 1853 as a community burial ground for the Town of Morrisania, which was then a part of Westchester County. 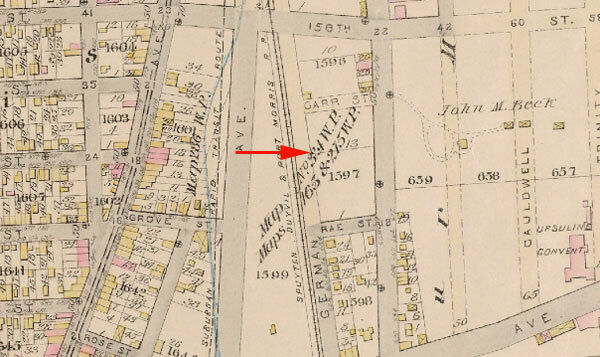 In 1874 Morrisania was annexed by New York City and today comprises a portion of the South Bronx. 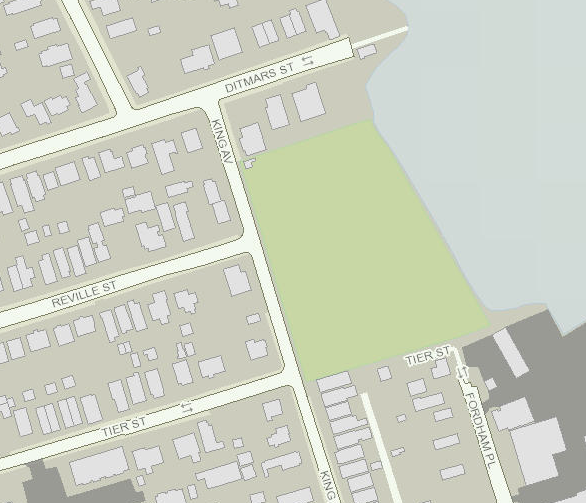 Bensonia Cemetery was located along St. Ann’s Avenue, extending from Rae Street to Carr Street. 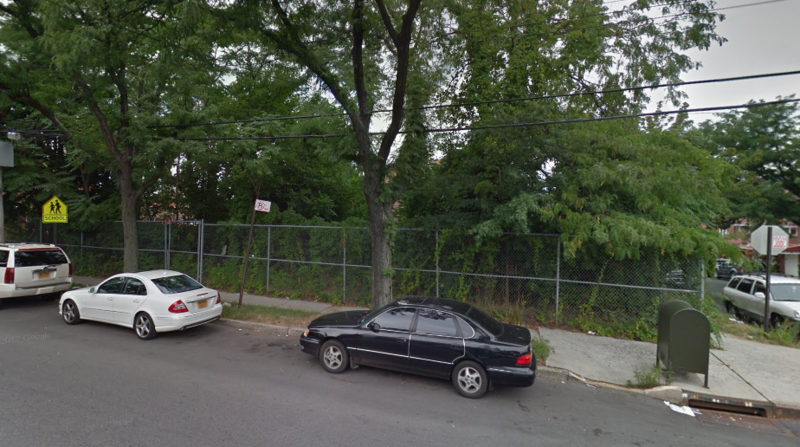 Developed by James L. Parshall, one of the original settlers of Morrisania, the cemetery was a picturesque spot, densely shaded by elms, poplars, and evergreens. 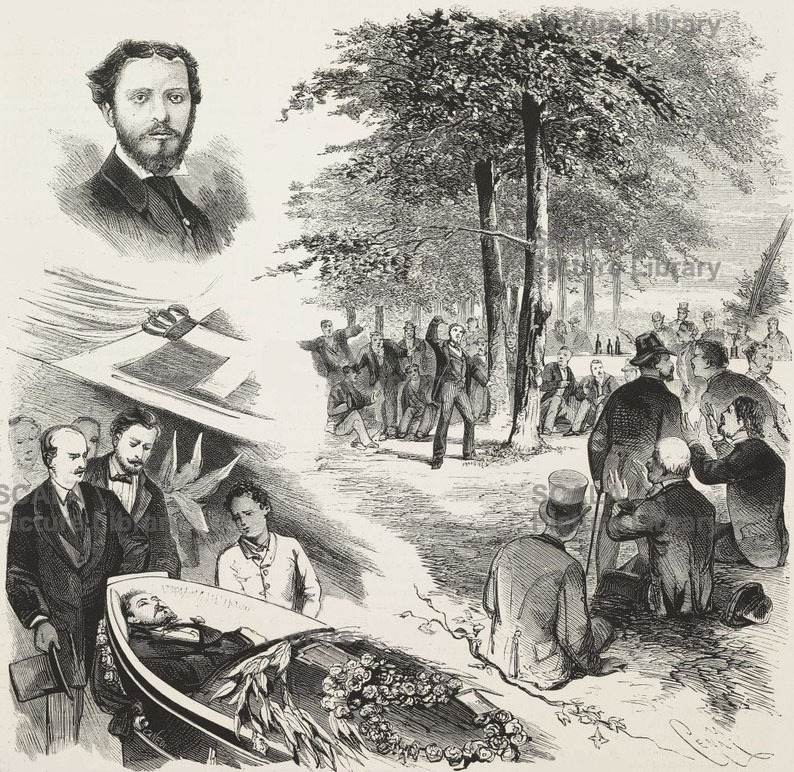 Oliver Tilden, who was born and raised in Morrisania and enlisted in the Union Army at the outbreak of the Civil War, was buried at Bensonia after he was killed in combat near Chantilly, Virginia, in September 1862. Tilden was the first soldier from this neighborhood to give his life for the Union during the Civil War. 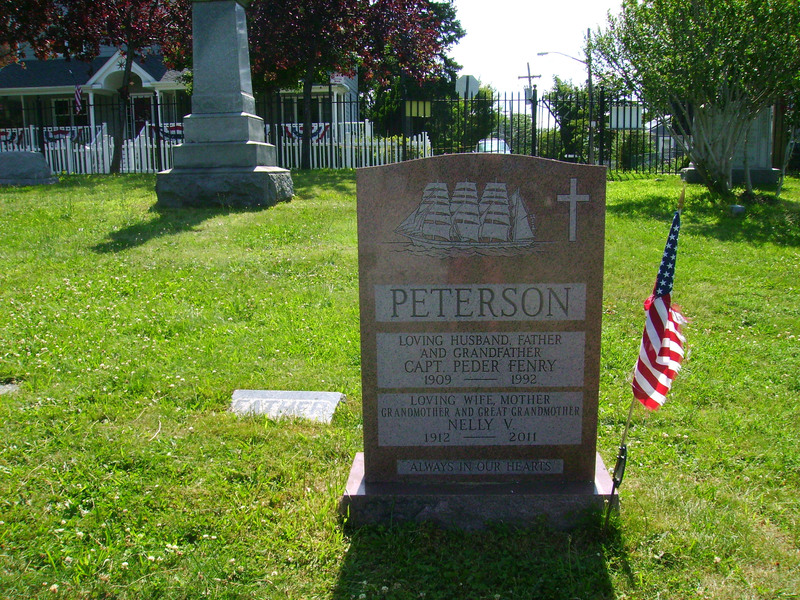 His remains were transferred to Woodlawn Cemetery in 1878. 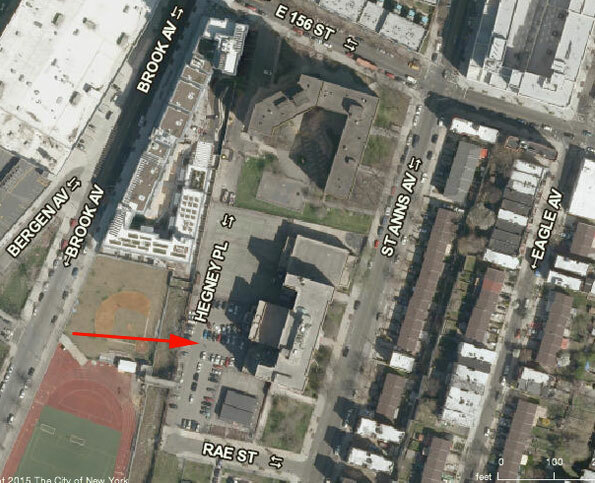 It is unknown how many other individuals were interred at Bensonia before it was closed to burials in 1868. 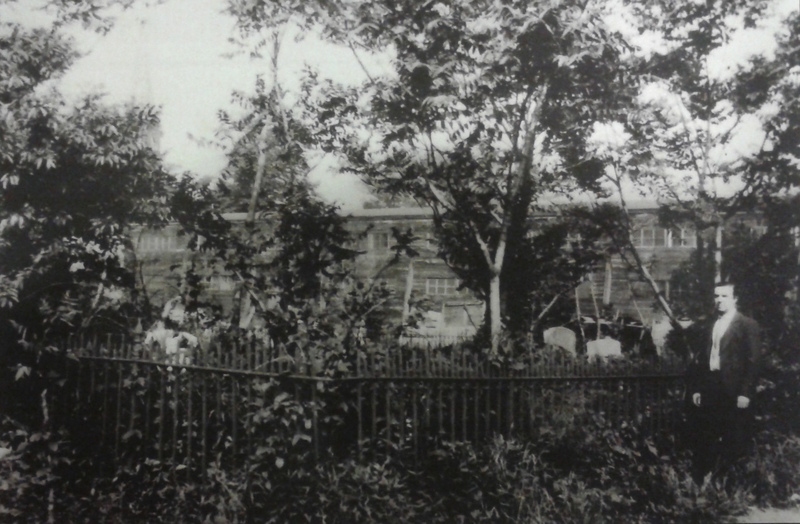 About a third of the cemetery was taken in 1870 when St. Ann’s Avenue extended through the site and a large number of disinterments were made at that time. 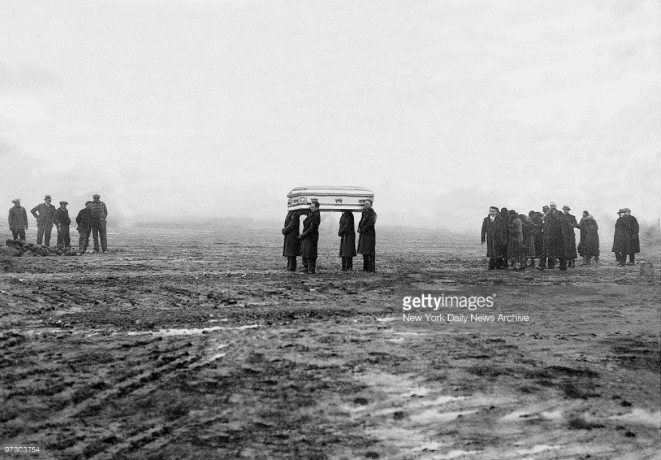 More burials were disturbed in 1893, when German Place was laid out along the west side of the graveyard. 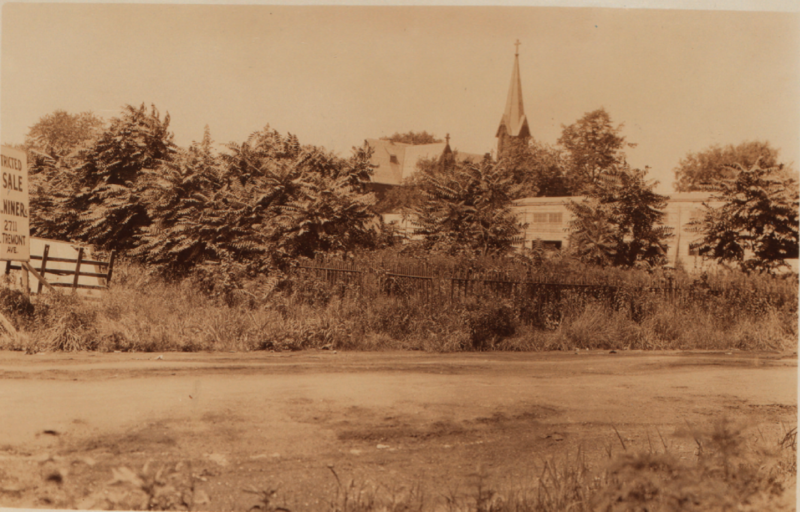 By the turn of the century, only about two acres remained of the original Bensonia Cemetery, and the abandoned property, with just a few gravestones still standing, had become a dumping ground for neighborhood refuse. 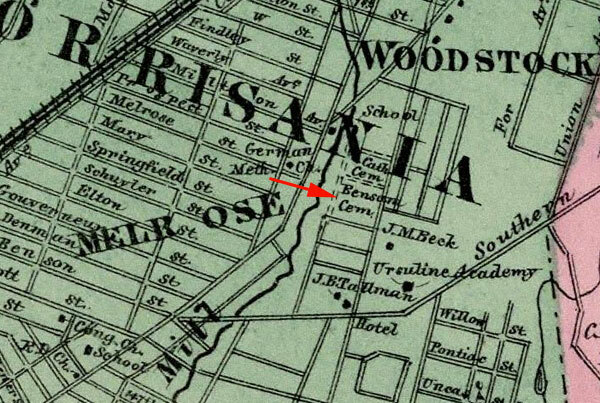 In 1908 Bensonia was taken by the city for public use and the graves were transferred to Woodlawn Cemetery. Public School 38 (now called the South Bronx Educational Complex) was built on the site in 1921. 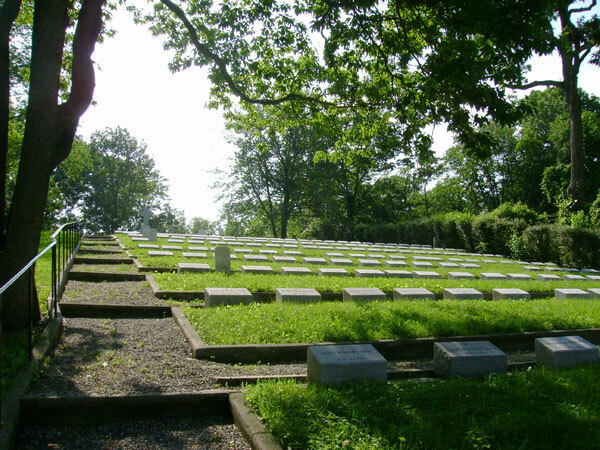 The Sisters of Charity Cemetery, located on the grounds of the College of Mount Saint Vincent in the Bronx, is the final resting place for many women who were pioneers in New York City education, health care, and social services. In 1817, Elizabeth Ann Seton sent three Sisters of Charity from Maryland to New York City to staff an orphanage at Prince and Mott Streets. Beginning at that location, the Sisters established schools throughout the diocese, which was the foundation of the parochial school system of New York. In 1847, the Sisters of Charity of New York became an independent congregation and created the Academy of Mount Saint Vincent—the first institution to offer higher learning for women in New York. 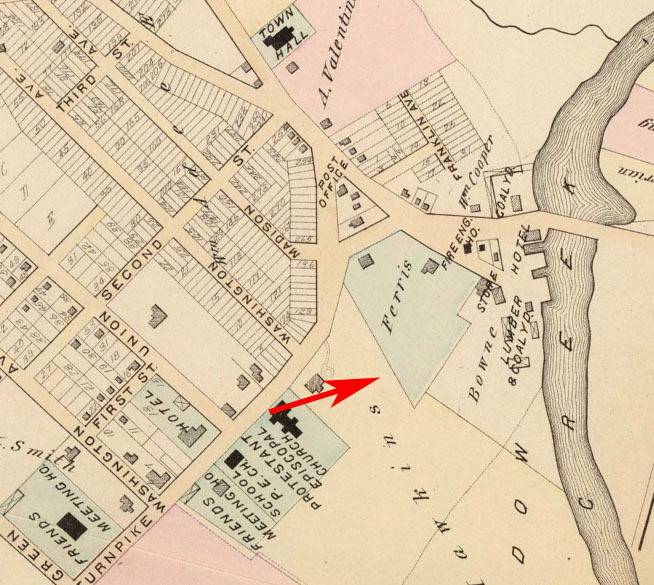 The Academy and Motherhouse, which were originally located near today’s Central Park, moved to their present-day site along the Hudson River in the North Riverdale area of the Bronx in 1859. 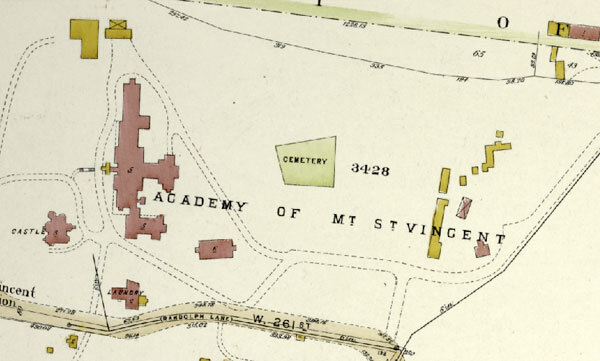 The Academy was renamed the College of Mount Saint Vincent in 1911. 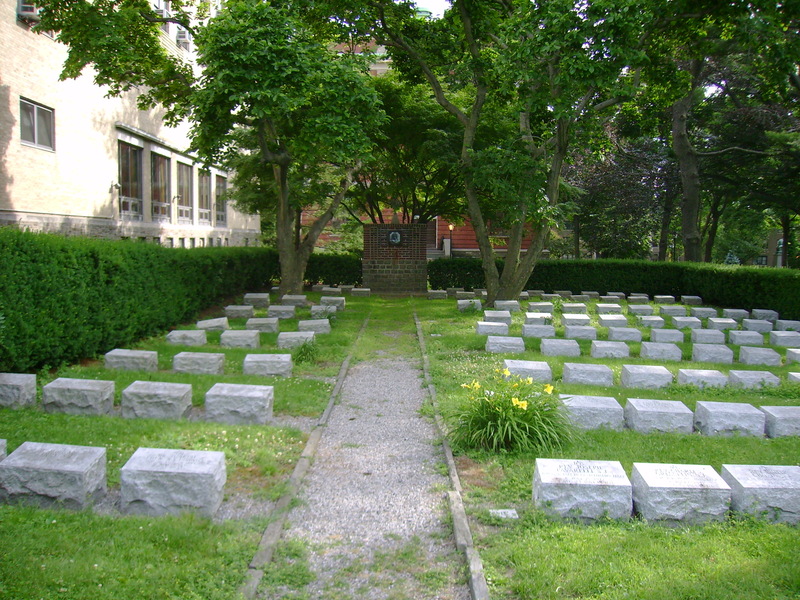 The small Sisters’ Cemetery lies along a hill just west of the Cardinal Hayes auditorium building on the Mount Saint Vincent campus. Well kept and peaceful, the site contains about 200 gravestones dating from the 1850s to the present. At the top of the hill and overlooking the cemetery is a path with a row of Stations of the Cross plaques mounted in wooden shrines. 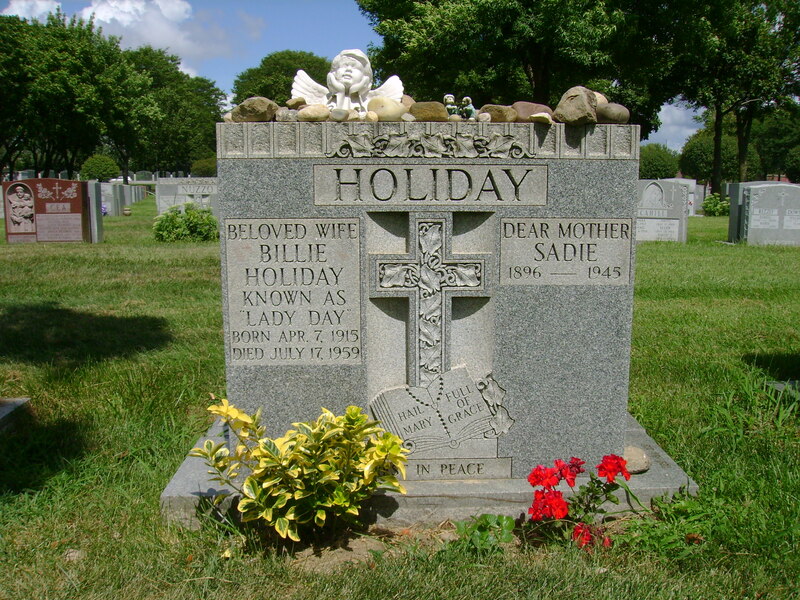 Most of the gravestones are simple, horizontal slabs; small vertical markers identify some of the Sisters who served as nurses during the Civil War. Larger monuments honor the presidents and mothers general of the order. 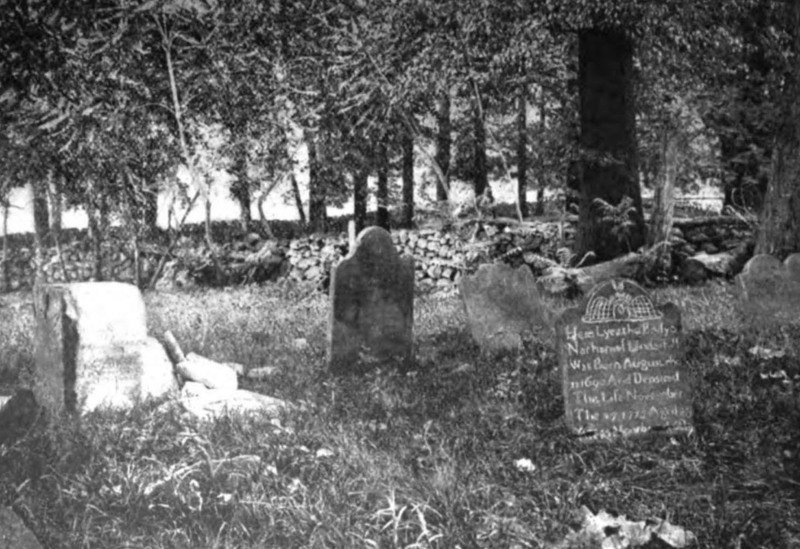 A five-foot stone cross marks the grave of Mother Elizabeth Boyle, one of the original three Sisters sent from Maryland to New York in 1817 and the first Mother Superior of the New York community. 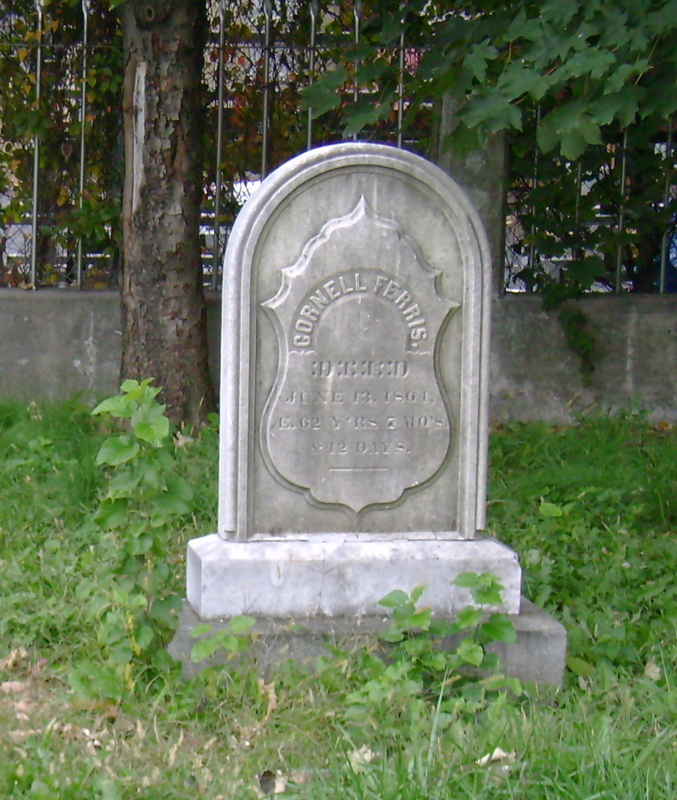 Other early members of the New York Sisters of Charity community also rest in the cemetery, including Sister Mary Irene Fitzgibbon, who began the The New York Foundling in 1869 as a home for abandoned children. Today, The Foundling is one of New York City’s oldest and largest child welfare agencies, providing foster care, adoptions, and other services for families. View more photos of the Sisters of Charity Cemetery. 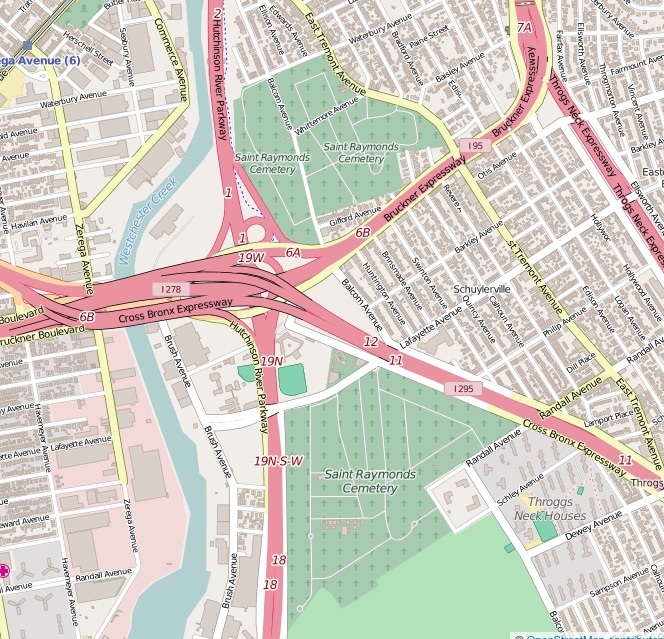 Sources: Bromley’s 1921 Atlas of Borough of the Bronx, Sect. 13, Pl. 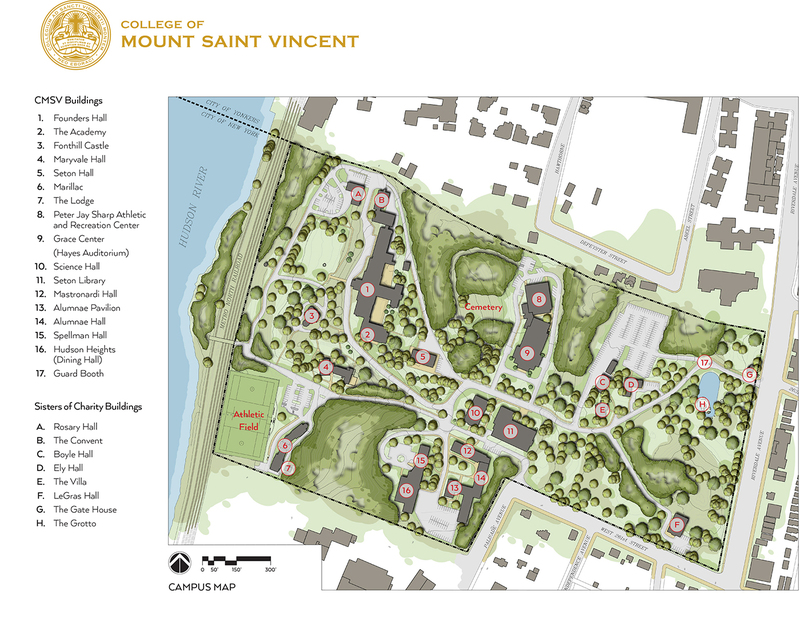 80; College of Mount Saint Vincent—Campus Map; College of Mount Saint Vincent—History; “History in Stone on Mount Hilltop,” Sr. Regina Bechtle, Visions 12(1), 2008, p. 14.